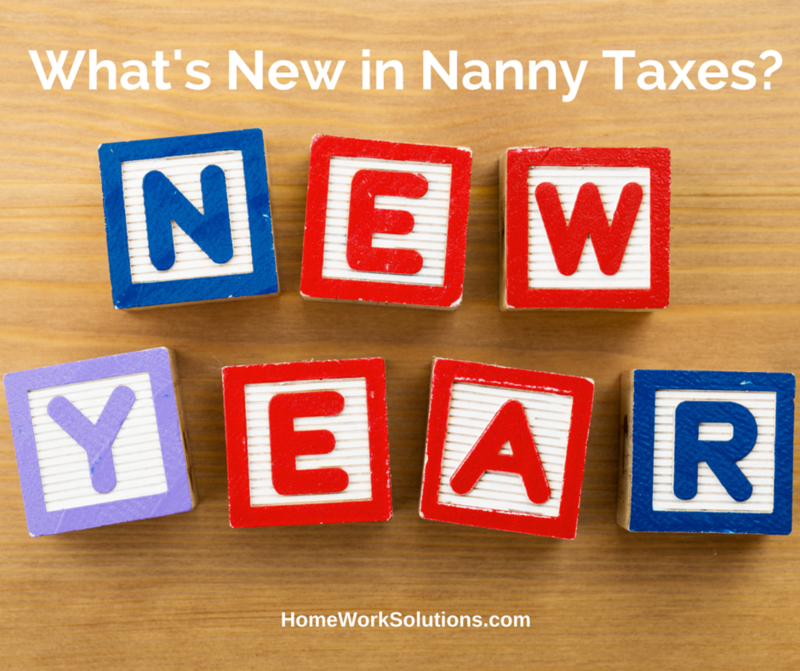 2016 Household Payroll Update: What’s New? 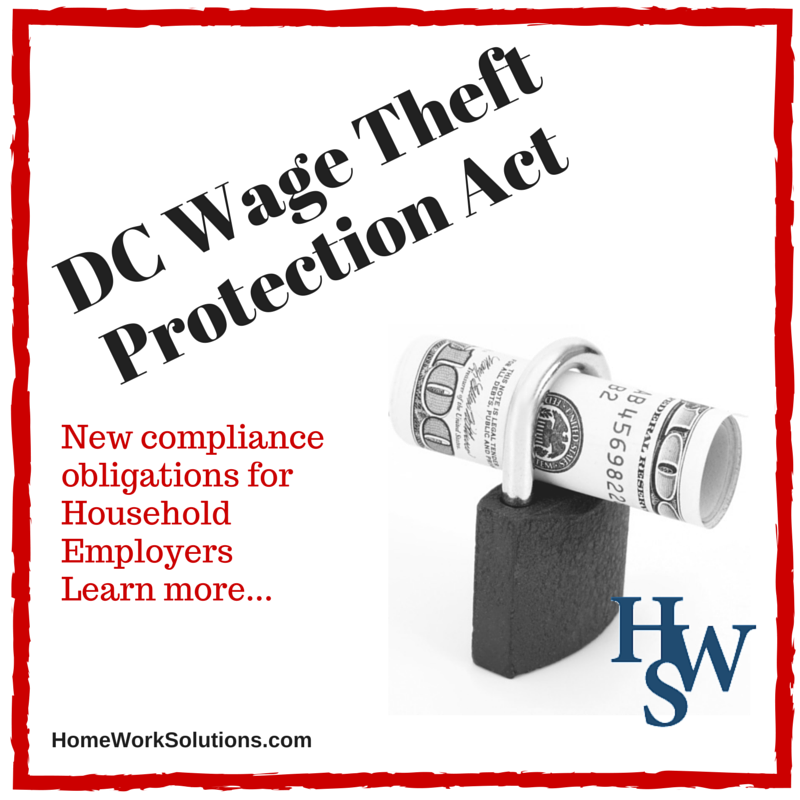 The District of Columbia’s Wage Theft Prevention Amendment Act of 2014, became effective on February 26, 2015. This law does cover household employers - families who employ a nanny, housekeeper, senior caregiver or other domestic service worker. The law requires in part that employers provide written wage notices to their DC employees. Household employers have until May 27, 2015 to satisfy this requirement with respect to their employees who were employed as of the Act’s effective date of February 26, 2015. Household employers in the District of Columbia will have new, important obligations to their household employees in 2015.